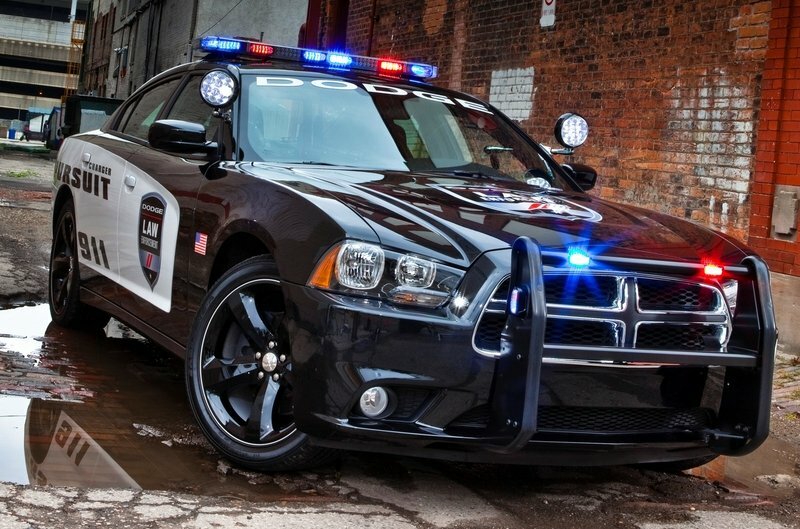 The latest Dodge Charger Pursuit just spanked its two arch-rivals in another high-speed test session by the Michigan State Police, whose data and recommendations are highly regarded in the law enforcement community. And can you blame them for choosing the only model running a Hemi V-8 to all four wheels through an eight-speed automatic? You read that right. The latest Charger is not only on the police order books as a rear-drive V-6 and V-8, but now also with the V-8 to all four wheels. This is big news because it effectively makes the Charger Pursuit as one of the fastest cars on American highways — year round. With a powertrain and seamless AWD system offered for the V-8, the Charger is hotter than ever below its menacing panels. No big changes outside since the 2012 refresh brought and updated nose and the full LED racetrack of brake lights in back. Even so, the numerous combinations of police-ready trims are enough to make even a grown man tinkle himself a little when viewed in the rearview mirror. Such a mean grille surely lets any driver know that a big ticket is coming. Why? 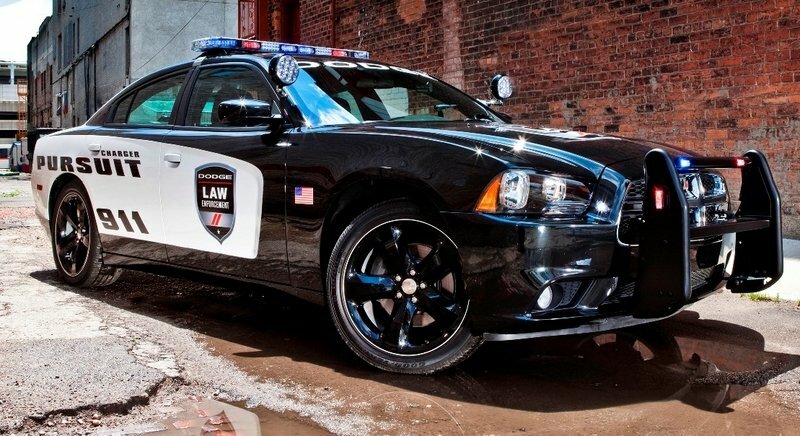 The Charger is most popular among money-generating State Highway Patrols versus the boring Tahoe and Taurus Interceptor PPV’s run by suburban mall cops. 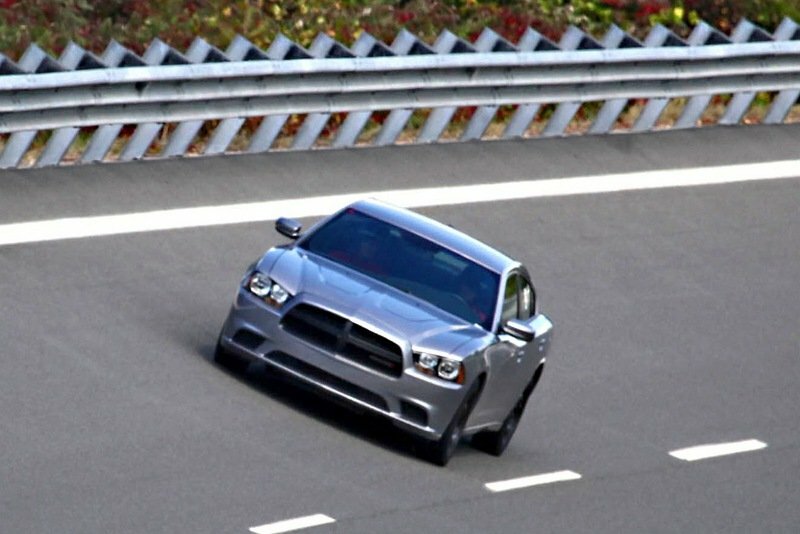 The big Charger Pursuit in your rearview means no chance of escape. The old Pursuit Hemi was able to char the freeways at 160 mph-plus top speed, with a 60 mph sprint now projected to be as low as 5.7 seconds for the AWD Hemi. What red-blooded cop would turn down this as a daily driver? Click past the jump for the full review of the 2014 Dodge Charger Pursuit, with details on its newly-available AWD on the potent Hemi V-8. Seeing any Charger is enough to make you lift off the throttle immediately when speeding. But seeing one in full battle spec is truly terrifying if you know how much you were speeding. Despite lacking the full-frame grille of the Charger SRT, the Charger Pursuit looks far closer to the SRT than the humble rental-car specification that is so popular. The broad shoulders and almost Blues Brothers styling of the Charger looks like it was designed to wear the Panda paint from day one. The additional LED lighting for all the red and blue flashers is unforgettable when waiting for your ticket. Brighter strobes than ever before seem like they could cause a seizure, but are effective at clearing traffic and being visible even in dense fog, rain or snow. 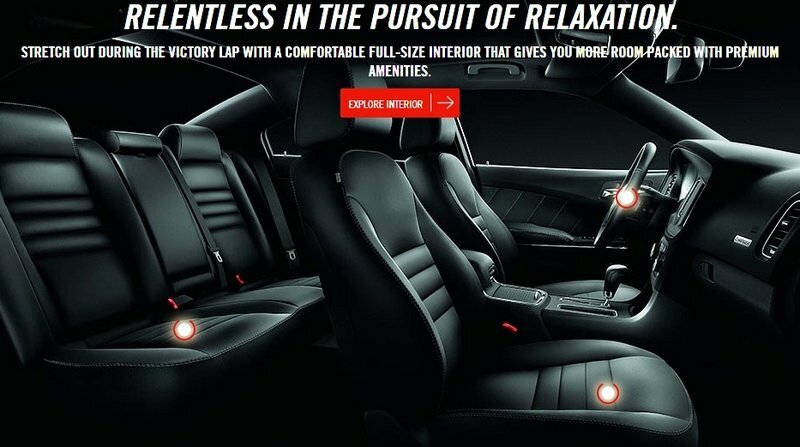 The interior of the 2014 model brings a handful of the latest tech and comfort goodies from across the rest of the Chrysler lineup. A better steering wheel now has multifunction controls, and the seats are still police-only versions of the normal Charger’s seats. What is different? Police seats generally have no lower side bolster support, because it can cause the officer’s gun and tool belt to dig into his back. 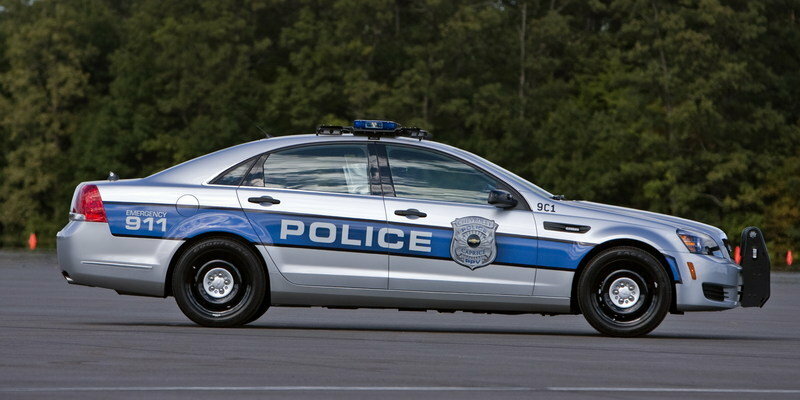 The big news is the first AWD option on a police Charger. The AWD is available only on the larger 5.7-liter engine choice, while the base V-6 carries forward as a rear-drive model only. This move to offering AWD is to counter the excellent all-weather traction of the Ford Taurus Interceptor and Explorer Interceptor. Chevrolet is also offering 4x4 traction on the police Tahoe for the first time in 2014. The difference for the Charger will be much more confidence on the highways when raining or snowing. Scenarios and weather like this almost always causes pandemonium on highways, with police needed on scene almost without a break. With the latest AWD traction, the Smokies will also be able to power through the medians even if they are covered in snow. Performance for the Charger comes in two flavors of axle ratio’s for both the V-6 and the V-8. 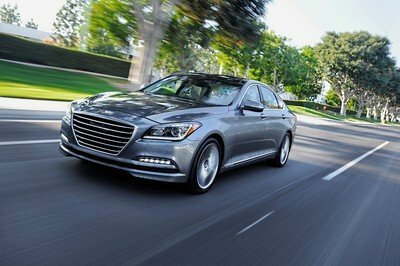 Sprint pace to 60 mph ranges from a projected 7.5 seconds for the V-6 model with the 2.65-to-1 final drive ratio, down to just a projected 5.8 seconds for the AWD Hemi with a 3.07 final drive ratio. For those with less knowledge about drive ratio’s, the choice is a popular option on pickup trucks. A taller one helps high-speed economy, while a shorter on improves sprint performance. 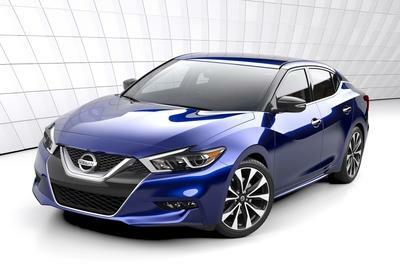 The quicker ratio is about a half-second improvement to 60 mph, so definitely worthwhile to get the 3.07 configuration. The Charger Pursuit is now available with rear backup sensors, which will be helpful in keeping the department’s repair costs low. 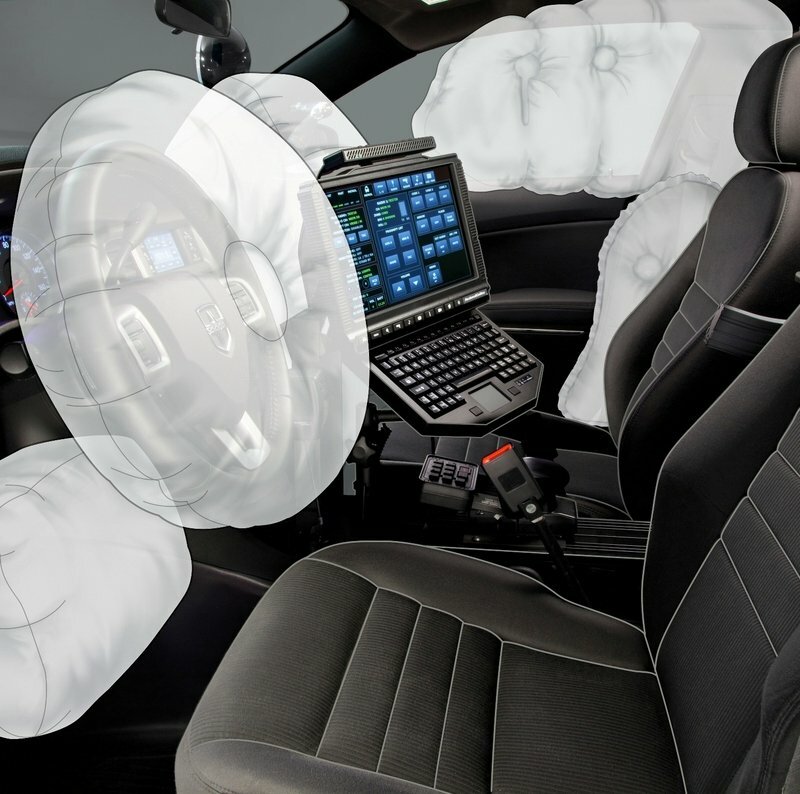 Besides that, most of the latest active safety options from the civilian Charger are not available on the Pursuit. The Charger Pursuit is highly affordable. 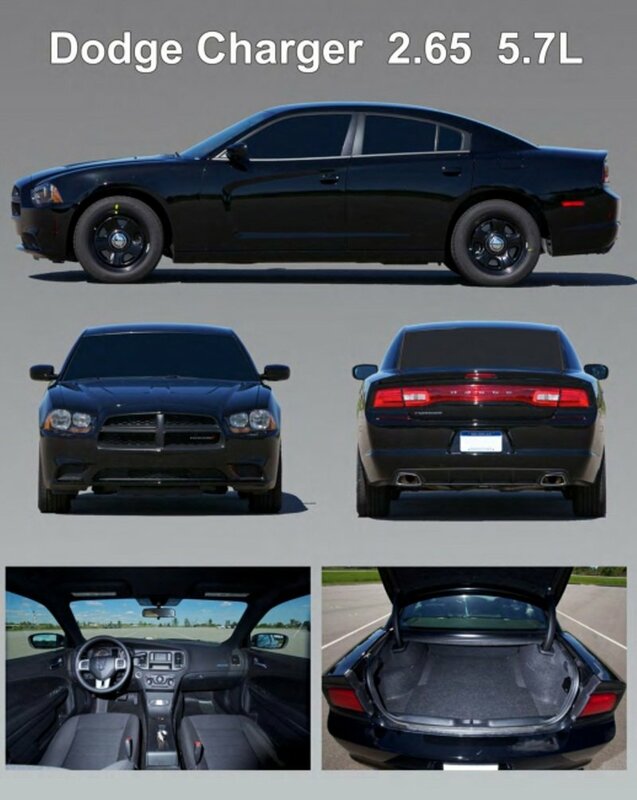 Without the civilian car’s better radio and extra features, the Charger Pursuit in 2013 started from just $22,000. Adding the V8 Hemi and AWD will take the price up considerably, but still nowhere near the $40,000-plus that is the base price of the SRT Charger. 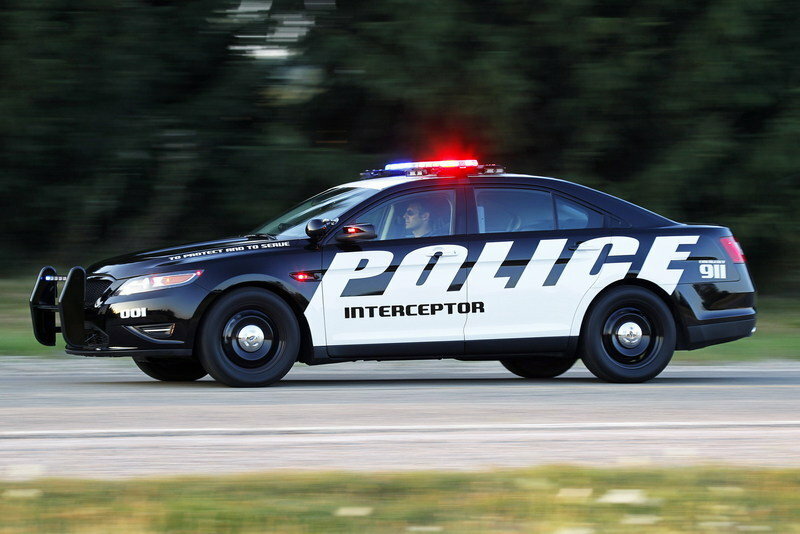 The Taurus Interceptor comes as a standard front-drive sedan with a 3.7-liter V-6 or the hot EcoBoost AWD version that has Taurus SHO-like performance. Both are doing great in the sales charts, with far more police stations finding their front or AWD traction, relatively tough mechanicals and decent fuel economy are worthwhile things to have. The Caprice earns some cool points because it is a LEO car, meaning only law enforcement agencies can buy one. 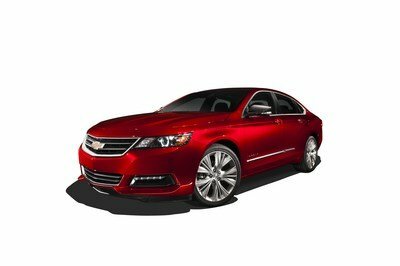 Not many are able to until Chevy starts making it in the United States versus Australia, but it does feature the stomping 6.0-liter, V-8 in its top specification. Power only goes to the rear wheels, though, making it quite a handful in the snow. 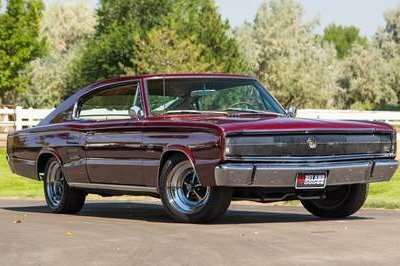 So for the ultimate in Blue Brothers re-enactments: you will need to get some dark and dirty blue suits, dark sunglasses, and about 250 of these Charger Pursuit’s right behind your old boat on a mad dash to Chicago from Joliet Prison in Illinois. But this time, the Dodge cruisers will not be piling up on Lower Wacker drive in a massive collision. Instead, the 2014 perp will be nailed before he even hits the city limits. September 1, 2013 , Auburn Hills, Mich. - Dodge is turning up the heat in the police pursuit vehicle segment. 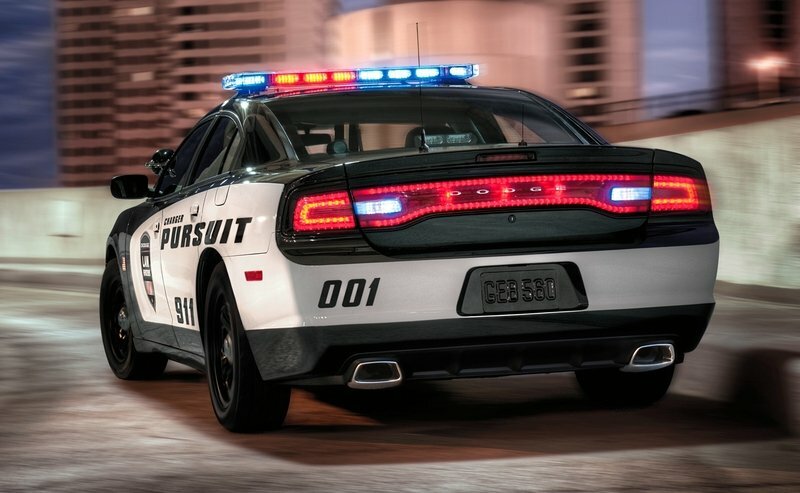 In response to police fleet customer demand and with input from the Chrysler Group’s Police Advisory Board, the already well-received and record-setting Dodge Charger Pursuit will offer an available all-wheel-drive (AWD) system with the legendary 5.7-liter HEMI® V-8 engine for 2014. The new 2014 Dodge Charger Pursuit’s intelligent AWD system features a segment-exclusive active transfer case and front-axle-disconnect system that better balances performance and fuel economy. Dodge Charger Pursuit’s AWD system seamlessly transitions between rear-wheel drive (RWD) and AWD with no driver intervention. 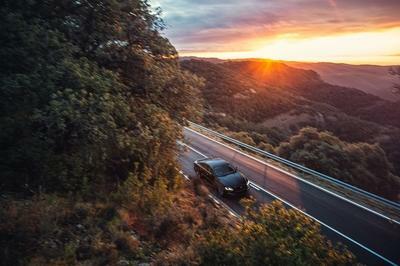 When AWD is not required, the system automatically disconnects the front axle to maximize fuel economy while still providing the outstanding fun-to-drive performance and handling inherent in rear-wheel-drive vehicles. 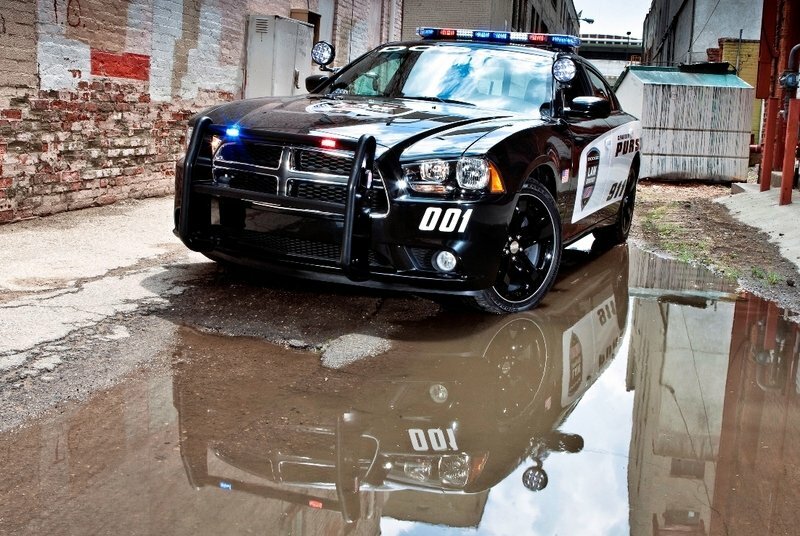 Designed and engineered to be America’s high-performance police vehicle, the 2014 Dodge Charger Pursuit V-6 and V-8 provide law-enforcement with the best combination of tactical technology, safety, power, efficiency and iconic design. In addition to its standing as an Insurance Institute for Highway Safety (IIHS) “Top Safety Pick,” the Dodge Charger Pursuit surrounds the heroic men and women who protect with uncompromising safety and security equipment, including standard advanced multistage driver and front-passenger air bags, seat-mounted side-thorax air bags, supplemental side-curtain air bags for front and rear outboard passengers and a driver’s knee bag. 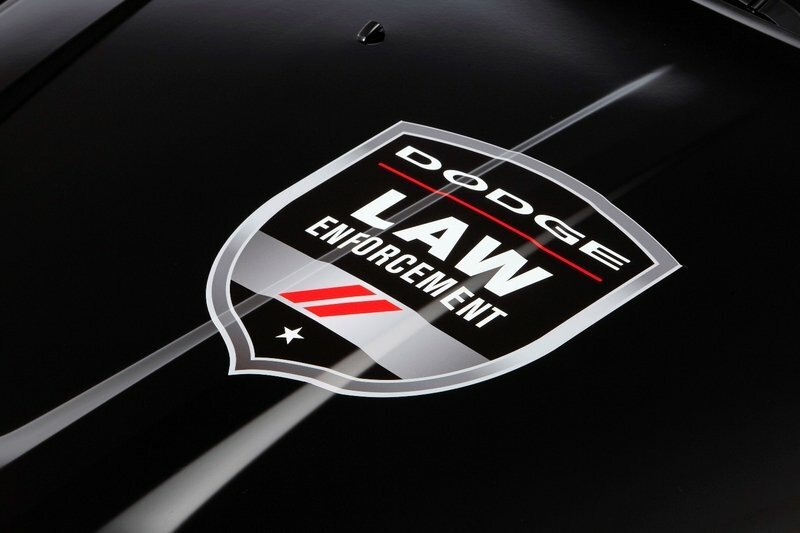 With six quality-tested and factory-installed police-equipment packages specifically designed for the 2014 Dodge Charger Pursuit, Dodge and Mopar have teamed up to offer law enforcement officers with the ability to customize their vehicle to their exact specifications right from the manufacturer. 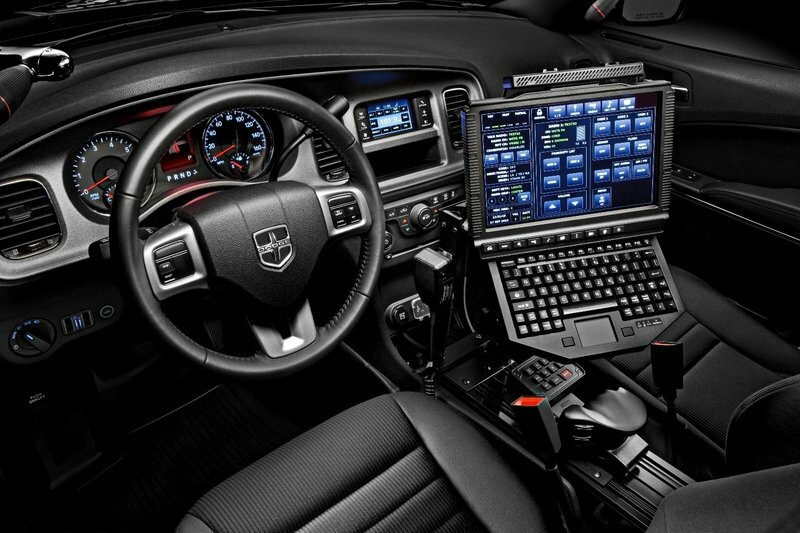 To enhance Dodge Charger Pursuit’s world-class levels of technology, safety, handling and efficient power, Mopar teamed up with industry-equipment leader Crown North America to develop six police packages that are designed to provide law-enforcement officers with the best combination of tactical equipment and performance. These police-equipment packages feature emergency lighting, audible warning and communications and safety equipment. 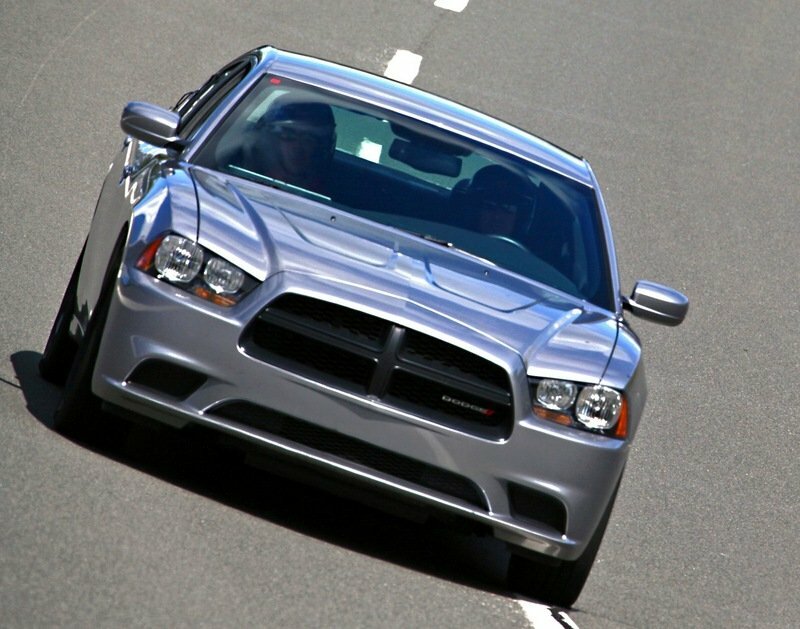 Industry-leading suppliers involved in the development include Whelen Engineering, Setina Manufacturing and Havis, Inc.
Mopar conducted extensive testing to ensure that its police upfit equipment met and exceeded the heavy-duty durability-cycle tests requirements of the Dodge Charger Pursuit. 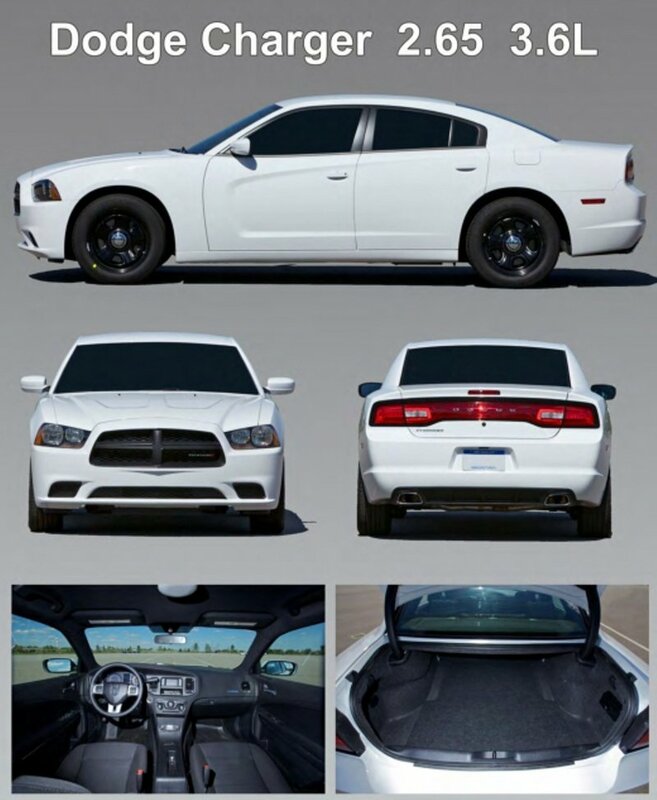 The 2014 Dodge Charger Pursuit equipped with Mopar’s police equipment packages is available through Chrysler Group LLC’s fleet operations. The Dodge Charger Pursuit is manufactured at Chrysler Group LLC’s Brampton, Ontario, assembly plant.